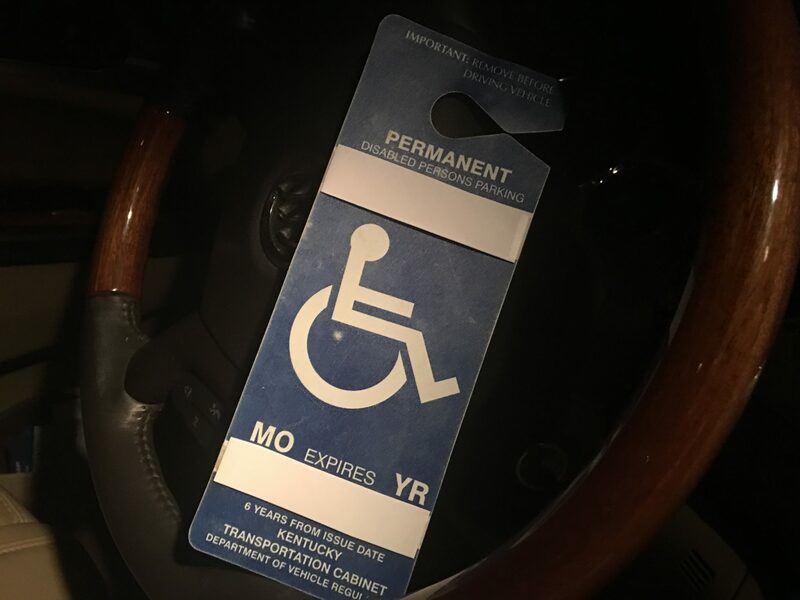 FRANKFORT–State senators moved today to crack down on able-bodied drivers who use parking placards intended for those with disabilities. By a 35-0 vote, senators approved Senate Bill 61 to curtail what was described as nothing short of an explosion in the number of the placards being issued. Kentucky saw a 506 percent increase in the number of the placards in 2009 when fees for the item were dropped. Kentucky went from issuing 33,000 in 2008 to issuing more than 200,000 the following year. In a Senate Transportation Committee meeting chaired by Harris earlier this week, a disabled person testified about difficulty in trying to find accessible spaces. He recounted how his van was vandalized when he had to double park in order to have enough space to extend his wheelchair ramp at a Kentucky mall during the busy Christmas holiday. Harris said SB 61 would allow the issuance of one placard per person that could be transferable between vehicles. The bill also would take the responsibility of determining if someone legitimately needs a placard out of county clerk hands by requiring a doctor’s note. Permanent blue-colored placards would cost $10 while temporary red-colored placards would be half that amount, Harris said. The placards would be valid for six years instead of the current two years. SB 61 also calls for transportation cabinet officials to monitor state-issued death certificates to ensure able-bodied drivers do not use placards issued to the dead. 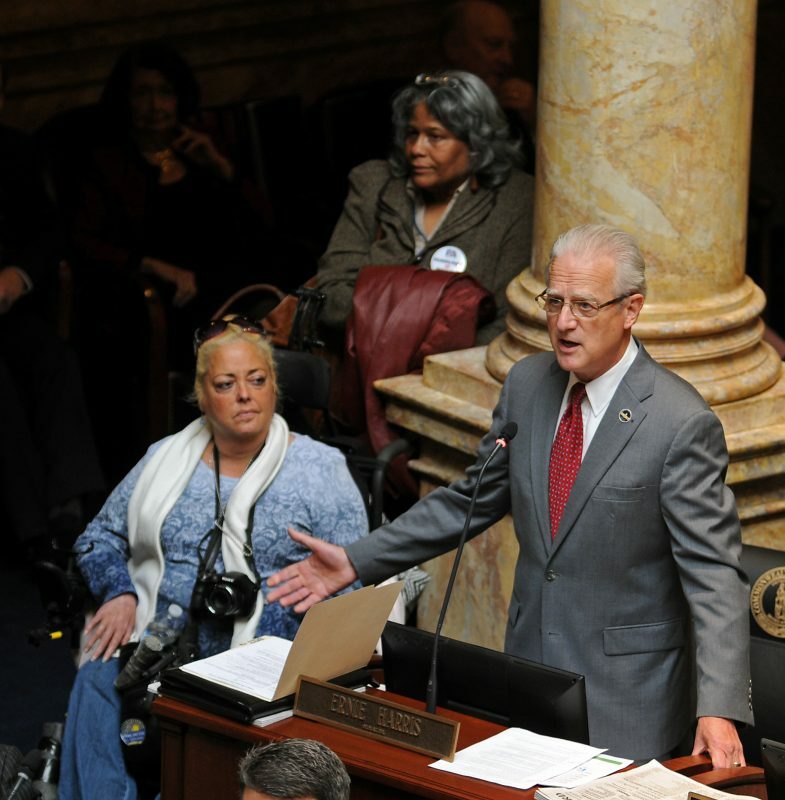 Sen. Julian M. Carroll, D-Frankfort, said he really gets irked when he sees drivers with the placards who leap out of their cars like spring chickens at his local convenience store. The measure now goes to the state House of Representatives for consideration.